The MALAGA BackPack 550+ is all in black and as a backpack also suitable for longer tours. He too focuses on quality and functionality. The equipment of the MALAGA BackPack 550+ offers space for everything the photographer needs on tour: Thanks to the tripod mount, the tripod can be easily taken along. 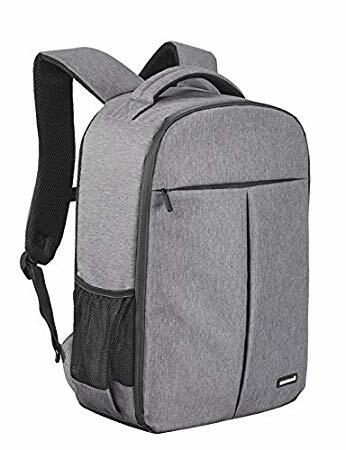 Two side pockets offer quick access without removing the backpack - handy, for example, there to stow the bottle. The front pocket in A4 format can accommodate various items such as travel documents or a block. Inside, the space continues - and takes into account that more accessories are needed on the way. The 9.7-inch iPad pocket, a pen pocket and two neoprene pockets provide extra security and protection for your laptop and more. The flexible interior division adapts to different cameras and various accessories. The stable floor offers optimal protection against moisture and moisture. Two side pockets eg for drinking bottle, etc.